The R&D laboratory for Regenerative Medicine directed by a cheer woman is focused on product development dedicated to regenerative medicine in clinical application. The laboratory for Regenerative Medicine is the core of R&D in Euroclone group and it is located inner the Molecular Biotechnology Centre of Turin University. The cell therapy TEAM laboratory includes scientists with expertise in cell biology, stem cells manipulation and protocols development in compliance to GMP regulation. Producing artificial tissues and cell cultures for therapeutic purposes is a complex task, for which aseptic conditions are only one part of the requirement. Apart from the clean room zone itself, you need trained operators and strict procedures to prepare the room and the people involved to be ready for the process. This requires huge efforts in terms of infrastructures, personnel training and compliance. Biotechnology: Cell Biology, Cytogenetics, Genomics and Proteomics, Immunology and airborne contamination control systems. Diagnostics: Human, Agrofood and Veterinary. The company mission involves constant product scouting on the international marketplace to supply the latest technology advancements to the scientific community. EuroClone S.p.A. evaluates through a strict quality assurance system the novel products to guarantee the realiability of the goods supplied to our customers. 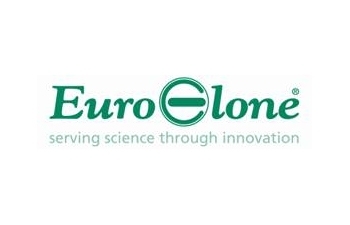 EuroClone S.p.A. has put in place numerous strategic co-operations with many Research Institutions in Europe. The development and production of innovative solutions, a Product Management and Sales team both professional and highly motivated, together with efficient customer care, have consolidated the presence of EuroClone S.p.A. domestically and internationally. Customer satisfaction is the driving force behind the entire company structure and investment planning. EuroClone S.p.A. is currently a shareholder of Labosystem S.r.l., leading manufacturer of laboratory furniture. EuroClone S.p.A. has a Quality System certified in compliance with UNI EN ISO 9001: 2008 and NF EN ISO 13485:2004.